By Albert Cameron – I have reached a milestone in my MMA fandom: I have read the last thread on MMA message boards that I am ever going to read about how bad Joe Rogan and Mike Goldberg are at doing commentary. As someone who does it regularly, Joe and Mike are the highest echelon attainable when it comes to doing MMA commentary. Instead of getting on a soapbox and spitting venom at the haters, I have decided that I am better off giving a little insight as to how commentary is run and maybe we’ll all love Joe and Mike just a little bit more. Have you ever really listened to a fight without commentary? I mean really listened? I noticed it when watching the first season of the Ultimate Fighter. Something was glaringly off about the fights, to the point that it almost made me uncomfortable; it wasn’t the lack of fans, it wasn’t the different venue – my brain had no assistance in comprehending what I was watching. Commentary is a device that is used to help understand the action laid out before you. Every sport has commentary: Football, Baseball, Golf, Swimming, Tennis. Commentary partners the visual with the intellectual and you get more out of it. Without the commentary and play by play, you are completely alone and not getting any of the history of what is occurring before you. Fight cards are announced months ahead of time; with everything that needs to occur in a fight, it takes just as much time to manage the final product. When a fight card is announced, I’ll begin researching who is fighting on the card. This comes in especially handy when there is someone I’ve never seen fight before, which is most of the time. When I come across a name I haven’t seen before, I’ll look up their profiles on MixedMartialArts.Com and begin YouTubing their fights. After that, you begin making personal contact to get the information you need for your delivery to be pleasant and compelling. To be this thorough with everyone on a card, it does take a long time, but it’s within these moments that you become familiar with styles, with milestones and with training camp accomplishments. The research process doesn’t stop when I’ve watched every YouTube video, either; up until bell time, I’ll still be asking questions to include in commentary. 4. Last minute changes means weeks worth of work has to be done in days – There is nothing more frustrating for everyone involved when there is a major change to the card; especially when that change could have been avoided with a little diligence. However, some changes can’t be helped; guys get injured or their real lives become more complicated, alternates have to be called. I just got done saying how it takes weeks to accomplish proper fight preparation. When a fight gets a last minute replacement, you have to hustle to get their information and watch their fights to be adequately prepared. Recently, I had a fight card change on me, nearly completely. The comfort was that the replacements that I’d seen fight before, but those fighters did have fights in between then and I did have homework to do. I have the implied benefit of practice, being a member of the press and all. Most of the fights I call are on events that I’d cover anyways and so I’m usually already well versed. 3. You have to know how to talk – Not talk to communicate, but talk professionally. There was a time in 2007 that I had a Saturday and Sunday shift on a radio station and I got to talk for money! Radio, like fight commentary, isn’t as easy as “I can talk, so I should get paid to do it.” My mentor (and co-host, and co-producer; Drew Shannon) really cares about his craft and if he was going to put his stamp of approval on my performance, he was going to be very critical (in a really constructive way) about the way I did things. He’d correct my annunciation, coach the way I spoke into a mic and made me pay special attention to the cadence of my voice. Fights without commentary sound empty, fights with bad commentary are distracting. My single biggest pet peeve is being at a commentary table and having Joe Knucklehead come up to me and tell me that they can do what I can do and then ask who they need to talk to about doing commentary. Translation: “That looks easy, who do I talk to about getting your job?” Professional broadcasters study the trade, religiously. Andy (Robb, a co-worker at my day job) will record his on-air breaks and listen to them for study; Drew listens to the radio, even when he’s sick, to be sure he’s on top of his game and despite knowing how it’s all going to end, I watch fights I’ve called to improve upon my abilities all of the time. Knowing Mixed Martial Arts is great, but having the professional ability to communicate is essential. 2. You have to be able to carry three conversations at once – At the same time, you need to be able to talk about three things: history, action as it unfolds and prognostication. The bell rings and two fighters begin circling each other. What lead to this fight? What fights have they had before that makes the fight at hand relevant? What have they done in their past fights that make this one interesting? That’s history. Are the techniques they are using now effective to their strategy and detrimental to the well-being of their opponent? Is their conditioning holding up? Has the fight been going their way? That’s the action as it unfolds. What does the fighter have to do to secure victory? How do they get out of a dangerous predicament? What does winning this fight mean for the fights that will have coming up? That’s prognostication. That is an extreme oversimplification of the conversations you’ll have, but it’s the base understanding. Now those three conversations will intertwine and interchange as the action inside the cage or ring changes. You have to hand those same conversations for both fighters, unbiased and the directions of those conversations will change as each change in momentum occurs. This is the single hardest part about doing fight commentary; you have to be sharp, focused and you can’t let yourself become distracted. If you lose your train of thought in the middle of a flurry or a finish, it’s extremely difficult to recover smoothly. 1. Handling distractions is a necessity – Remember what I said about not letting yourself be distracted? It’s a much larger elephant in the room than you’d think. At any given fight, you have people in your ear talking about technical things. Some of those things will be pertinent to you (ie: when the camera will be on you, when a fighter is about to enter, etc.) and others will not. You have to keep half attention on that information in your headset. Smaller promotions have their own set of distractions that need to be contended with. Commentators are set up at a table cage side and cornermen trying to be heard inside the cage are loud. Fan opinion directly behind you can be heard (especially if the venue sells beer), you’ll get local fans sitting down at the table and start talking to you in the middle of a fight and I’ve even seen a fight between managers break out during the post-fight. All of this will happen and it is your duty as a fight commentator to keep your concentration and deliver a pleasant sounding, thought provoking analysis of what is going on inside the cage. Every profession has their challenges. Tattoo artists are doing more than tracing lines with a needle, radio personalities are doing more than talking in between songs and road construction workers are doing more than playing God when it comes to deciding when the sign that says “Go” can be turned around. Those of us who work in the fight industry because we have a genuine love and passion for the sport; some of us are so fortunate that we get to do it for a living. Someday, I hope to be among those fortunate few; if not, I will be extremely satisfied with what I’ve accomplished and I know I speak for my brothers and sisters in broadcasting. I hope that I’ve shed a little light on what fight night is like for the fight time, that maybe you appreciate what we do a little more. If not, I’d like to impart this gem of wisdom upon you: we don’t lose sleep over your dislike. *Albert Cameron is a veteran fight commentator for over three years and over twelve events. His commentary work has been used for DVD reproductions of fights, televised fights and internet Pay-Per-View broadcasts. His credentials include events for Complete Devastation MMA, World Cagefighting Championships and Gladiators of the Cage. 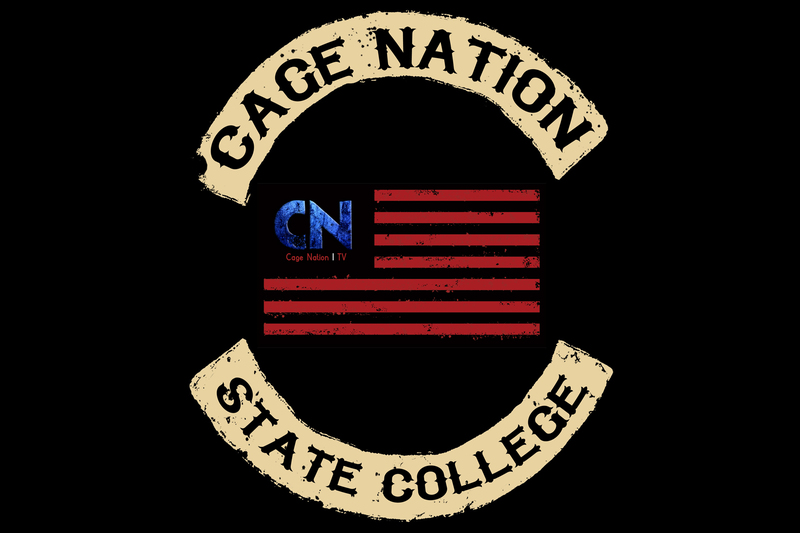 Previous Previous post: OPINION: Is Collegiate MMA a Viable Concept?